Ability Text: Draw two cards. 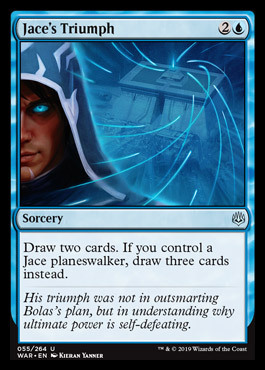 If you control a jace planeswalker, draw three cards instead. Flavor Text: His triumph was not outsmarting bolas's plan, but in understanding why ultimate power is self-defeating.